On Saturday, September 3rd school supplies will be distributed by the Hugs for Pun Foundation. Any parents wishing to secure needed schools supplies should bring their children to the Big Pun Mural on Rogers Place and E. 163rd Street. The school supply give away is an annual tradition in honor of the deceased Christopher "Big Pun" Rios. "Big Pun" was the First Latino hip-Hop artist to go Platinum. He was born and raised in the Bronx. The items will be distributed on a first come first serve basis and parents must show proper identification with proof of address. There is a limit of two items per household. Please do review the attached flyer and good luck to all the kids as they get ready for the first day of the 2011/2012 school year. Kudos to his sister Nicole and everyone who has nurtured and grown this South Bronx tradition. This year will make the 11th consecutive year where school supplies are distributed to community youth free of charge. Personally, I can not think of a better way to honor the death of someone loved by the community. It looks like the foundation truly has its heart in the right place. Please do forward this information to any parents you know who have children in grades K – 5th. Labels: "Bronx Charity", "Christopher "Big Pun", "DJ Dave Traffic Light hernandez", "Hugs for Pun", "Masonry Services Inc", "Nicole Rios", "School Supply Giive Away", Rios"
Here is information on a program run by the NYC Department of Cultural Affairs encouraging seniors to get involved in the arts. It's enjoyable to see programs like this one for seniors to create and express themselves. Please do forward to any seniors who you believe might have intere4st. Labels: "Arnold Wechler", "Bronx Council of the Arts", "Gallery 307", "NYC Department of Cultural Affairs", "Sonia J. Lessuck", "SPARC", Off the Wall"
Here is news on an initiative to promote healthy eating in the Bronx. “Our borough has the dubious distinction of being the unhealthiest County in the State,” said Councilman Cabrera. “And in my district, lack of access to healthy foods compounds this problem. It is time we work together to help turn this around,” he continued. This Thursday, Councilman Cabrera will be launching a new initiative to encourage healthy eating and buying habits. Through a partnership with the Department of Mental Health and Hygiene, members of the community will be able to sign up to be a “Club Member” where they will receive Health Bucks to spend at Farmer’s Markets throughout the district and borough. Health Bucks can be used at any Farmers’ Market in the Bronx. Constituents can sign up with Councilman’s Cabrera Office and receive a Club Card in order to redeem their Health Bucks at varying Farmer’s Market. Labels: "Clarmont Park", "Farmers Markets", "Health Bucks", "Mt. Eden Farmers Market", "Nutrition", "NYC City Councilman Cabrera"
I do not enjoy postings related to crime in our borough, but with the recent increase in gun play I feel the BoogieDowner needs to support a local elected official who is mobilizing the community to prevent future mindless deaths. Council Member Joel Rivera will address Monday evening’s shooting on East 181st Street and Daly Avenue which has placed two young girls and a young man in the hospital. The community is asked to provide any information that will aid the authorities on the arrest of the suspected gunman, Luis Moore by calling Crime Stoppers Hotline at 1-800-577 TIPS (8477). Labels: "Councilman Joel Rivera", "Daly Avenue", "E 181st", "Luis Moore", "Shootings", "Tips"
Religion and prayer has been in the news more often lately ,on a national level, due to the approaching Republican primaries and the association of the Republican party with religious issues. Here is a Bronx Democrat elected to the NYC Council making a statement of his own on a local level somewhat proving there is no straight line regarding beliefs in outward expression of religion and political affiliations. NYC Councilman Cabrera is urging Mayor Bloomberg to include prayer at this years 9/11 memorial. From the statement made by Councilman Cabrera, I think everyone can safely assume prayer is not included in the ceremony commemorating the 10th anniversary. Labels: "9/11", "Associated Press", "CNN", "Councilman Fernando Cabrera", "Fox", "Mayor Bloomberg", "Prayer"
Here is an interesting press release received from the Bronx Borough Presidents office about the first ever Bronx Education Summit. 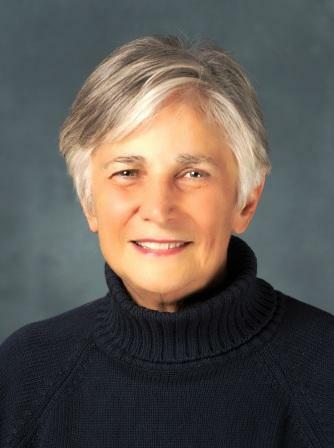 Diane Ravitch will be the keynote speaker. Chancellor Dennis Walcott of the New York City Department of Education should be present as well. In any event the first ever Bronx Education Summit will include workshops where people can express their opinions. The dialogue should be heated, interesting and hopefully constructive. In any event, its our responsibility to get informed and get involved. For more information please do see the full press release below. The phone number to register can be found below as well. Today, Bronx Borough President Ruben Diaz Jr. announced that Dr. Diane Ravitch, widely considered to be the preeminent education expert in the United States, will offer the keynote address at the first-ever “Bronx Education Summit: From Cradle to Career,” to be held on Saturday, October 15, 2011, at Lehman College. Dr. Ravitch is Research Professor of Education at New York University and a historian of education. In addition, she is a nonresident senior fellow at the Brookings Institution in Washington, D.C. Her most recent book, The Death and Life of the Great American School System: How Testing and Choice Are Undermining Education (2010), is a critically acclaimed New York Times bestseller. “The goal of our education summit is to bring together the best minds in education, from all sides of the issues, to put forward a clear vision for the future of education in the Bronx. With that in mind, we are extremely grateful that none other than Diane Ravitch, one of the most important voices in the national debate on education, is coming to the Bronx to participate in this historic event,” said Bronx Borough President Ruben Diaz Jr. The topic of Dr. Ravitch’s address will be "Improving Education for the Children of the Bronx." Dr. Ravitch’s complete biography and curriculum vitae can be found at dianeravitch.com/vita.html. All educational stakeholders are invited to attend the Summit, including parents, teachers, students, and policy makers. The day will begin with greetings from Borough President Diaz, Dr. Pedro Noguera of New York University, and Schools Chancellor Dennis Walcott of the New York City Department of Education, followed by Dr. Ravitch’s keynote address. After the morning workshop, the summit will host eight breakout sessions covering a variety of topics, such as special education, English Language Learners, and parent involvement. The event concludes with a VIP Policy Panel composed of some of the city’s most influential educational figures, including Ernest Logan president, Council of School Supervisors and Administrators; Monica Major, Bronx representative to the Panel for Educational Policy; James Merriman chief executive officer, New York City Charter School Center; Michael Mulgrew, president, United Federation of Teachers; Dr. Betty Rosa, New York Board of Regents, and Shael Suransky, deputy chancellor, New York City Department of Education. Throughout the day, participants can visit tables staffed by employees of dozens of educational and social service organizations to learn more about the resources available to parents, students, and teachers in the Bronx and citywide. The “Bronx Education Summit: From Cradle to Career,” is only the first step in creating a new education agenda for the Bronx. A number of follow-up activities are being planned in conjunction with the summit to continue these important conversations about improving educational outcomes for all Bronx students. For more information about the Bronx Education Summit or to register, please visit www.bronxeducationsummit.org or call 718-590-6116. Labels: "Bronx Borough President Ruben Diaz Jr.", "Diane Ravitch", "Ernest Logan", "First Ever Bronx Education Summit", "James Merriman", "Lehman College", "NYC Chancellor Dennis Walcott", "UFT"
For any artists out there looking for a live drawing session, please contact Barry Kotrinsky at (845) 729-5457. The session will be held this evening from 6pm to 9pm, at the Bruckner Bar and Grill located at 1 Bruckner Blvd in the Port Morris section of the Bronx. Please note there is a $10 fee to participate. I attached the link to the Bruckners web site as well, for anyone seeking additional information on the venue. Live drawings sessions are scheduled regularly at the Bruckner for anyone interested but unavailable tonight. Labels: "1 Bruckner Blvd", "Artists", "Barry Kotrinsky", "Bruckner Bar and Grill", "Live Drawing Session", "Port Morris", "Sketching"
Please do review the e-mail sent from a reader who wants to spread the following information related to "ICE" information that should be entered on everyone’s cell phone in case of an emergency. If we were to be involved in an accident or were taken ill, the people attending us would have our mobile phone but wouldn't know who to call. Yes, there are hundreds of numbers stored but which one is the contact person in case of an emergency? Hence this 'ICE' (In Case of Emergency) Campaign the concept of 'ICE' is catching on quickly. It is a method of contact during emergency situations. As cell(mobile) phones are carried by the majority of the population, all you need to do is store the number of a contact person or persons who should be contacted during emergency under the name 'ICE' ( In Case Of Emergency). Please forward this. It won't take too many 'forwards' before everybody will know about this. It really could save your life, or put a loved one's mind at rest. ICE will speak for you when you are not able to. Labels: "Accident", "Cell Phones", "Emergency", "ICE", "In Case of Emergency Numbers"
Besides the one fatality I heard about that took place on City Island during Hurricane Irene, I believe most Bronx residents and most New Yorkers believe it could have been worse. The following press release issued by Comptroller Liu gives praise to Mayor Bloomberg, various city agencies and our brave first responders. It's is refreshing to see NYC political figures rise above party lines and petty politics to give praise when praise is due. Besides the Kudos from NYC Comptroller Liu, I also want to express a personal thank you for the handling of Hurricane Irene to our Mayor, all the city agencies involved and our emergency first responders. My sympathy to the family of the Bronx father we lost to the storm. “Now that Hurricane Irene has come and gone, New Yorkers should take a moment to recognize that the storm’s effects would have been much worse if Mayor Bloomberg had not taken steps to properly prepare the City for the worst storm to hit the East Coast in decades. Labels: "City Island fatality", "Hurricane Irene", "John C. Liu", "Mayor Bloomberg"
BoogieDowner Real Estate: Are High Density Bronx Lots a Hedge against Volatile Capital Markets? Much like Hurricane Irene’s pending flogging of NYC this weekend, other “black swan” events have ravaged our economic markets recently. During the last few weeks we watched Standard and Poor’s down grade America’s sovereign debt rating, capital markets skip erratically and gold surge. As everyone rushes to gold or other safe havens we should ponder the question; Is it time to think outside the box and consider positions in real property that, much like undervalued stocks, if chosen properly will provide great returns in the future, while also providing wealth preservation today? The first question is; Are these lots trading for less their historical highs. As a real estate broker I subscribe to various programs that provide me with data that can easily answer these types of questions. Realistic comparables can be found within a block or two right on Nelson Avenue. Inclusive of a small flip, 1624 and 1628 Nelson Ave sold to the same buyer for $575,000 each. The combined lot size is approximately 9,016 sq. ft. The total sales price for both lots was $1,150,000. The lots were recorded in June and July of 2008. When dividing sq. footage by sales price we come to about $128 per sq. ft. I believe this comparable to be a realistic high based on past trends for future prices when land becomes a necessity for builders again, tax credits are in demand and our present “over supply” of housing stock is depleted. I think it’s safe to assume, most people want to know the “present value” of any investment they purchase, especially when digging into their own pocket. How did we come up with the $350,000 asking price? Is it a realistic asking figure? As always the market will dictate value, however there are theoretical calculations that can assess value for any investment when certain variables are known, based on going industry trends. The primary question is; What can be built on the 6,500 sq. ft R7 lot? Zoning and Max FAR (Floor Area Ratio) help us to answer this question. R7 is a very good residential zoning. When combined with a Max FAR of 3.44, 6,500 sq. feet should provide approximately 22,000 sq. feet of housing, less the sq. footage taken up by an elevator. Please note these are very rough calculations and should be confirmed by a licensed architect, however over the years I have my own slash and burn way of making estimates on the buildable sq. footage of any lot. 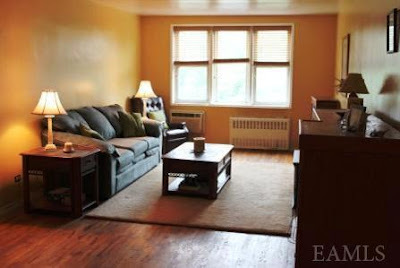 When determining the $350,000 asking price we used a 5,000 sq. ft. footprint to account for any possible set backs or other requirements. With the conservative 5,000 sq. ft. footprint and a 3.44 far the estimated buildable square feet for a six story building is about 17,200 sq. ft of living space. Developers in today’s market are paying a discounted $20 a buildable foot for land. Therefore the conservative value based on today’s market trends is approximately $350,000. We can go further with estimated gross potential rent and estimated building costs per sq. ft. but those calculation are more the responsibility of each specific developer. With an average apartment running between 700 and 1,000 square feet it is safe to estimate that you can build a six story elevator building with about 20 apartments. 1-	What dividends or income should I expect right know? 2-	Real Estate is all about location. Where is this lot and what does it have going for it? Most lots in the Bronx situated in high density neighborhoods are used as parking lots for local residents providing immediate revenue. Remember many of the buildings in the South Bronx are pre-war buildings, built when cars were a luxury. Most do not have built in garages. Besides the present need for local residents to park their cars and their preference to park in a secure environment, every time downtown mentions “congestion pricing” the phone starts ringing off the hook for people looking to secure parking lots in the South Bronx. When you consider the average width of a parking space is about eight feet and the lot is approximately 130 feet deep, you could easily place 15 cars on each side with room to spare. Thirty cars at $150 per spot would net $4,500 per month or $54,000 annually. On a $350,000 investment that’s a gross potential dividend of about 15% annually. In addition, The Morris Heights location is up and coming. The proximity to Manhattan, The George Washington Bridge and major highways including R87 and R95 are definitely positive factors. Major construction projects riddle the area and a walk down University Avenue will provide a first hand glimpse of a busy commercial corridor. I assume many of you will read this during our visit from Hurricane Irene. Besides hoping that everyone finds a safe haven during the hurricane I also want to express how much a game changer this hurricane is with real life real estate ramifications. From now on, I will have one of the many charts circulating presently showing which territories are vulnerable to flooding within NYC. Sea level issues were sometimes discussed; however with a major hurricane paying us a visit, I am sure it will weigh in more as a factor for serious investors when purchasing long term investment properties. Rest assured Morris Heights and most of the West Bronx will be safe from any flooding do to it’s topography on top of solid bedrock on high ground overlooking the Harlem River. I believe my arguments advocates strongly that investing in Bronx high density lots makes prudent sense when hedging against volatile markets or when wealth preservation is a priority. Any one interested in the lot at 1690 Nelson Ave, or any other lots in the beautiful borough of the Bronx, is welcome to contact me. This particular lot would be a perfect location for an affordable housing development or religious organization seeking a new house of prayer, which they own, with the potential for rental income to help make ends meet. In addition, I would appreciate any responses to my argument posted here today. Once again be careful this weekend. Labels: "1690 Nelson Ave.", "Bronx", "Gold", "Hedge Investments", "Hurricane Irene", "Land for Sale", "Lots", "Morris Heights", "Safe Havens", "Standard and Poors"
Here is additional information on resources, including shelters in Sen. José M. Serrano's 28th Assembly District, and various recommendations for precaution that should be considered seriously in preparation for hurricane Irene's arrival this weekend. Please do review and and take the necessary precautions necessary. In preparation for Hurricane Irene, I urge all of you to take the necessary precautions to protect yourselves and your loved ones. Below you will find some helpful information and recommendations to ensure that you are adequately prepared should hurricane conditions occur. Additionally, you may lose power and email access, so I suggest you print this email, along with the corresponding evacuation map, and any other information you need to ensure your safety. Please share this information with others, especially the elderly and sick who may not be getting the proper information, and help them stay informed. On the New York City Office of Emergency Management or www.nyc.gov/severeweather websites you can find out if you live in a hurricane evacuation zone by plugging in your address here. Or use your phone to call 311 for further information. This is the best source for up to the minute hurricane information for New York City residents. You can also find a map of the NYC hurricane evacuation zones here. If you live in an ORANGE (Zone A) area, you should be prepared to evacuate. Mayor Bloomberg recently announced that there will be a mandatory evacuation for those in Zone A by Saturday at 5PM. It is important that you check this map as many residents of the 28th Senate District reside in Zone A. This map also shows the locations of evacuation centers, which are marked with RED dots. You can report power interruptions or service problems as well as view service restoration information online at www.conEd.com. Or you can call Con Edison 1-800-752-6633. (If possible, have your Con Edison account number available and report whether your neighbors also have lost power). Trains, Buses, and Bridges are also likely to be taken out of service during the hurricane. The MTA will be shutting down service beginning on Saturday at 12 PM. If you are planning to relocate for the hurricane, you should do so sooner rather than later. The Mayor has indicated that he will work closely with news organizations to get breaking updates to the public ASAP. Therefore, please stay close to a television or radio to get the latest info. Remember, a battery powered radio works during a blackout. You may also call 311 for the latest updates. If you have a terrace or outdoor space, make sure to take everything inside. High winds are expected. If you live by a construction site that has materials which do not appear to be safely secured to a stable structure, please call and notify 311. If you see downed electrical wires, do NOT go near them or touch them. Instead, report any downed wires to Con Edison and your local police department immediately. If you have a medical or other emergency, call 911. Check twitter for additional updates at http://twitter.com/nycgov. Whether or not you are in an evacuation zone, you should make sure to have basic necessary supplies readily available. Gather a "Go Bag" that includes: essential documents in waterproof bags/containers, extra cash, medications, flashlights, working batteries and other items you'll want to have in the event of an evacuation. Once again, please use the resources listed above to ensure your safety and the safety of those close to you. Be sure to follow http://twitter.com/nycgov, call 311, and listen to the radio for further updates. Please be prepared and be safe! Labels: "Bronx Shelters", "Con Edison", "Hurricane Idea", "MTA", "Power Interuptions"
Here is another indication that these weekends expected Hurricane is a serious threat. Governor Cuomo has declared a state of emergency in New York in preparation for the potential impact of Hurricane Irene, which may hit New York State this coming weekend. The Governor is activating all levels of state government to plan for any situation that may be caused by the storm and the state government is carefully tracking the hurricane. As the Governor readies the state, New Yorkers should personally prepare for serious storm conditions. Labels: "Hurricane Irene", "NY State Governor Cuomo", "State of Emergency"
BoogieDowner Photos from the Community: Parakeet Sanctuary on Walton and 150th St.
As a realtor I am often walking Bronx streets. One attraction I enjoy running into is a bird sanctuary found at the corner of Walton Ave and 150th St. Often when the sun is shinning and the wind is blowing just right, you can hear the parakeets chirping. Labels: "Birds", "Bronx", "Parakeets", "Walton Ave"
U.S. Congressman Joseph Crowley Advises Caution for Potentially Dangerous Weather Heading our Way. U.S. Congressman Crowley is making sure everyone is prepared for the upcoming Hurricane scheduled to hit NYC and the surrounding area this weekend. He sent the following letter discussing prudent measure to consider and useful contact numbers in case of an emergency. One valid point is to be watchful of the elderly in our community. Please do review and please do be prepared. It appears that we will be facing some extreme and potentially dangerous weather this weekend. As Hurricane Irene approaches the New York area, I wanted to share with you some information from the Red Cross and New York City's Office of Emergency Management to help us all prepare for the storm. Also, if you have neighbors who are elderly or otherwise might not be able to care for themselves, I hope you take a moment to check in with them and make sure they have the necessary supplies, such as groceries, flashlights, batteries and bottled water. o Listen to a NOAA Weather Radio for critical information from the National Weather Service (NWS). o Check your disaster supplies and replace or restock as needed. o Bring inside anything that can be picked up by the wind (bicycles, lawn furniture). o Close windows, doors and hurricane shutters. o Turn the refrigerator and freezer to the coldest setting and keep them closed as much as possible so that food will last longer if the power goes out. o Turn off propane tanks and unplug small appliances. o Fill your car's gas tank. o Talk with members of your household and create an evacuation plan. Planning and practicing your evacuation plan minimizes confusion and fear during the event. o Learn about your community's hurricane response plan. Plan routes to local shelters, register family members with special medical needs as required and make plans for your pets to be cared for. o Evacuate if advised by authorities. Be careful to avoid flooded roads and washed out bridges. Lastly, if you experience any problems, please call 3-1-1. In case of a serious emergency, dial 9-1-1. My office is here to help you, whether you need help with accessing assistance or have any questions or concerns. Please don't hesitate to be in touch. And, please take every possible precaution to keep you and your family safe this weekend. Labels: "Hurricane Irene", "Red Cross", "U.S. Congressman Crowley"
Here is some information about a food drive in honor of Mother Teresa. For those that don't know she was born Gonxha Bojaxhu, is of Albanian descent and was an active participant in charities right her in the Bronx during her younger years. For anyone wishing to donate food to the less fortunate in her honor, please do see the information provided below. Tomorrow morning at 11 AM, Council Member James Vacca will collect food donated by community residents as part of a Day of Service to mark the 101st birthday of Mother Teresa. He will be joined on “Mother TeresaA Way” (at the intersection of Lydig Ave and Holland Ave) by members of the Albanian American Society Foundation, which collaborated in the project. The donated food will be delivered by members of the Vacca Volunteer Corps to the food pantry at the Jewish Community Council of Pelham Parkway. Labels: "Albanian American Society Foundation", "Jewish Community Council of Pelham Parkway", "Mother Teresa Way", "Mother Teresa"
Councilman Koppell is weighing in on the DOE's handling of dangerous levels of toxic chemicals found at PS 51 in the Bronx. Besides the harmful level of toxins found at PS 51, Councilman Koppell raised concerns and demanded immediate environmental tests be conducted at the Bronx Dance Academy and the High School of American Studies. In a letter to Chancellor Dennis Walcott, Council Member Oliver Koppell called the way in which the Department of Education handled the disclosure of the dangerous levels of trichloroethylene at the Bronx New School (PS 51) egregious and totally unacceptable. “The sixth month delay in informing parents of the hazardous level of the toxic chemical in the school, has created anger and distrust among the parents about the integrity and transparency of the DOE, as well as concerns about their children’s health,” he said. Koppell urged the Chancellor to respond expeditiously to the parents’ medical concerns and issues with respect to the school’s relocation, including reassurance about the new school’s environmental safety. Koppell also said the DOE must take steps to help safeguard the health of those who may have been exposed to TCE. He advocated instituting a number of steps including making a list of past and present students and providing them with up-to-date information on a regular basis about new developments concerning the health effects of exposure to trichloroethylene, as well as providing medical screening and surveillance for those exposed to the chemical, as deemed appropriate by environmental and occupational health professionals. Koppell stressed that parents must be given clear and specific information about bus schedules and routes, and a streamlined process for those who wish to transfer to another school. 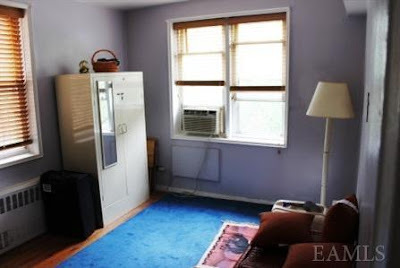 Koppell called for immediate testing for TCE prior to the opening of school at two other schools in his district, the Bronx Dance Academy and the High School of American Studies, which are located in leased space and have not undergone environmental testing. He requested that the test results be shared with the parents. Koppell concluded by calling on the Chancellor to, “revise the DOE’s environmental testing policy for leased space in order to prevent students and teachers from being exposed to the same dangerous environmental conditions as were found at the Bronx New School. Labels: "High School of American Studies", "Oliver Koppell", "The Bronx Dance Academy", "Toxic Chemicals"
Here is news on events at the PeaceLove cafe in Melrose scheduled for tomorrow and Friday. Events include spoken word and dance contests. Good luck to all the participants and the small business for its continued success. Where: PeaceLove cafe located on Melrose ave between 151st/152nd st.
Come all to PeaceLove♥ cafe located on 617 Melrose avenue between 151st/152nd st , to have the time of your life, Dance the night away come listen to one of the greatest 7 piece band (Orchestra La Unidad) this event is only $5 , we offer great healthy food great smoothies and plenty more. Time: 8pm-11pm . . . Don't miss out we hope to see you this friday August 24th ! Labels: "Latin/Jazz", "Melrose Avenue", "PeaceLOve Cafe", "Poetry", "Salsa"
I recently meet up with the Bronx film making MASTERMINDS of Amuck Duck Films Inc. Jerry Landi and Anthony DeBellis are busy riding the typhoon of the success of their cult classic horror film Krackoon. Besides unveiling the portable studio they built, it's a mini house on wheels, they also passed on the following information about a casting call for their next film. For any on interested in being part of Bronx movie history, please do review the press release related to their casting call taking place later today at the Locust Point Civic Center. I posted a link to their web site for anyone needing additional information. Amuck Duck Films is happy to announce that we are currently in Pre Production on the sequel to the award winning film KRACKOON. We will be holding a casting call on August 24th at 6Pm at The Locust Point Civic Association, 3300 Tierney Place. We are specifically looking to cast occupants of a senior citizen home, ranging from 55 to 70 years of age. Stage and Screen experience a plus, non-Sag. We are also looking for men and woman to play various rolls with age’s ranging from 25 to 40, also non-Sag. Labels: "Amuck Duck Films Inc.", "Anthony DeBellis", "Jerry Landi", "Krackoon", "Locust Point Civic Center"
Here is information about a cinema, music and fashion festival taking place at the Bronx Museum of the Arts. For any one who has not seen "City of God" by Frenando Meirelles, I highly recommend the film. It is one of my top 10 of all times. Join the festivities as MBSCC & Vishiva Real Management, in collaboration with The Bronx Museum of the Arts, present "Urban Nights of Cinema, Music, & Fashion" --an eclectic showcase of film, live music, and art. The festival takes place August 26, September 9, 23, & 30. Click here for details. Retumba is a unique all female dance and music ensemble that celebrates the human spirit with universal rhythms and resounding music. Rocket, a young boy growing up in a notorious Brazilian slum world navigates through its inherent dangers in search of love and his dreams. His passion to become a photographer propels him forward but will it be enough to escape the karmic chains of poverty, family violence and turf wars? $15.00 for Bronx Museum members. Tickets must be purchased in advanced. Click here. Food and refreshments available for purchase. Labels: ""MSCC", "Bronx Museum of the Arts", "City of God", "Frenando Meirelles", "Jazz", "Retumba", "Summer Garden Festiva;", "Vishiva Real Management"
Here is a third consecutive posting about City Island. Congratulations to our bravest on their new kitchen and Councilman Vacca for again making sure the Bronx gets its fair share from City Hall. Tomorrow afternoon at Noon, Council Member James Vacca will join former Council Member Madeline Provenzano, members of the FDNY, and City Island community leaders at Engine 70/Ladder 53 on City Island to cut the ribbon on the firehouse’s newly renovated kitchen. 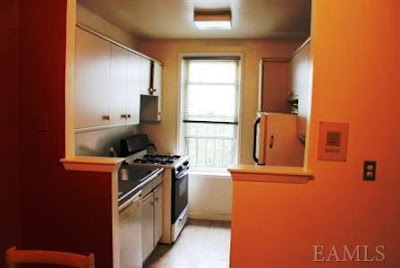 The aging kitchen was originally slated for a much-needed rehabilitation by Provenzano, and Vacca saw the project to completion by ensuring that the necessary capital funds remained in the budget. Labels: "Councilman James Vacca", "Engine 70", "FDNY", "Ladder 53", "Madeline Provenzano", "ribbon cutting"
The last post about the City Island Theater Group made me reminisce the summer nights spent at my secret spot on City Island. The photo shows crescent shaped Orchard Beach, as seen from City Island. Summers are always to short!!!! Labels: "City Island", "Night Photo", "Orchard Beach at Night", "Orchard Beach"
Here is news on a casting call by the City Island Theatre Group. Auditions for their upcoming performance of Arthur Millers’ Crucible will take place on September 8th & 9th. Performances are scheduled for this coming November. Who doesn’t love to hate Abigail? Good Luck to everyone trying out. The Crucible is set in Salem, Massachusetts in 1692, amid the chaos of the infamous witch trials. After the Reverend Samuel Parris catches his daughter, Betty, dancing with her friends in the woods, she faints and becomes deathly ill. Meanwhile, the Reverend's niece, Abigail, has had an affair with John Proctor, a farmer. When he refuses to confess his love for her, Abigail tells the authorities that people in the town are witches, including John's wife. In the end, John and others are wrongly executed for being witches. The Crucible is a fictional retelling of events in American history surrounding the Salem Witch Trials of the seventeenth century. Yet, it is as much a story of the time in which Miller wrote it (the early 1950s, and the “Red Scare” that dominated the period) as it is a description of Puritan society. At its core, the play deals with morality vs. self-preservation and shows the lengths to which people will go to obtain power, avenge a prior wrong and/or avoid persecution. Its themes of conformity vs. dissent and community vs. individuation remain as relevant today as they were in 1692. Saturday, September 10 @ 1:00 p.m.
John Proctor - (30’s) A farmer in Salem, Proctor serves as the voice of reason and justice in The Crucible. It is he who exposes the girls as frauds who are only pretending that there is witchcraft, and thus becomes the tragic hero of the tale. He is a man of the land. Elizabeth Proctor – (30’s) the wife of John Proctor, Elizabeth shares with John a similarly strict adherence to justice and moral principles However, Elizabeth can be a cold and demanding woman, with a chilly demeanor. Reverend Samuel Parris (late 40’ - 50’s) – The minister of Salem’s church. He is Paranoid and power hungry. Many people in the town don’t like him and his style of preaching. He is the father of Betty Parris. Betty Parris (Early teens) Becomes ill when her father catches her dancing in the forest with the other girls. This illness fuels the rumors of witchcraft. Tituba (late 30’s – early 50’s) Rev Parris’s black slave from Barbados. She agrees to perform voodoo at Abigail’s request. She is the first person accused of witchcraft. Reverend John Hale (early 40’s) a scholar from Beverly. He comes to Salem at the request of Rev Parris. He is an expert of the supernatural. Francis Nurse (late 60’s – early 70’s) The husband of Rebecca Nurse. He is a well respected land-owner in Salem. He stands up to the court and the charges of witchcraft. Rebecca Nurse (late 60’s – early 70’s) One of the most noble and well-respected women in Salem. She is pure good yet accused of witchcraft. Thomas Putman (50’s) A wealthy landowner is Salem. He is disliked by many of the people in Salem. He benefits from people being hanged, he can by their land. His daughter was also dancing in the forest with Abigail. Ann Putnam (40’s) The wife of Thomas Putnam, Ann suspects that there is some paranormal reason for the stillborn deaths of seven of her children and blames Rebecca Nurse. Giles Corey (late 60’s – 70’s) An elderly but feisty farmer in Salem. He is a comic figure in the play. Things turn tragic when his wife is accused of being a witch. He is a moral man who does not back down or give in. Mary Warren (late teens) The eighteen year-old servant in the Proctor household, Mary is one of the girls found dancing in the woods and is complicit in Abigail Williams' schemes. Although weak and tentative, she challenges the Proctors when they forbid her to go to court. Mary should be vulnerable. Mercy Lewis (late teens) Part of Abigail’s group. She is sly and merciless. Susanna Wallcott (late teens) also caught dancing in the woods. She is a confidant of Abigail’s. Judge Hathorne (50’s – 60’s) judge who presides over the Salem witch trials. He remains largely subservient to Deputy Governor Danforth, but applies the same tortured reasoning to charges of witchcraft. Deputy Governor Danforth (late 50’s – 60’s) The deputy governor of Massachusetts presides over the Salem witch trials. He is a stern yet practical man more interested in preserving the dignity and stature of the court than in executing justice or behaving with any sense of fairness. Ezekiel Cheever (20’s) Ezekiel is a clerk of the court who serves the arrest warrants to the persons charged with witchcraft. He takes his job very seriously. Sarah Good (40’s – 50’s) One of the first women charged with witchery by the girls, she is a homeless woman who confesses to witchcraft to save herself. Hopkins (20’s – 30’s) One of the guards at the jail. 11/4, 5, 11, 12, 18, 19 @ 8:00 p.m. & 11/6, 13 @ 3:00 p.m.
Labels: ", "Arthur Miller", "City Island Theater Group""Nick Sala", "Maria Provenzano", "The Crucible"
Besides Pelham Bay Park winning the title of “Best Overall for Large Parks” I am sure our Bronx youth did great at the City Park foundation track and field events recently held on Randall’s Island. Please enjoy the photos of our Bronx youth and information about the 10th Annual City Parks Foundation in the below press release. On August 17, 2011, City Parks Foundation held its 10th Annual CityParks Track & Field Citywide Championships, bringing over 2,000 New York City youth to the world-class Icahn Stadium on Randall’s Island for a day of healthy competition in a wide range of track & field events. 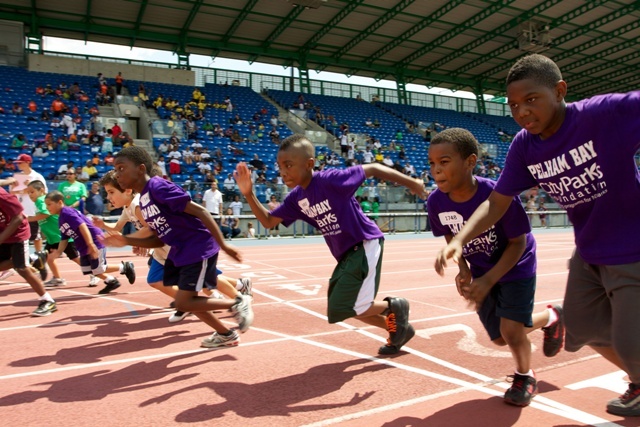 The track & field meet gave all participants of CityParks Track & Field program, which provided free lessons in parks across the city this summer, an opportunity to experience the exhilarating spirit of the Olympics, close to home. 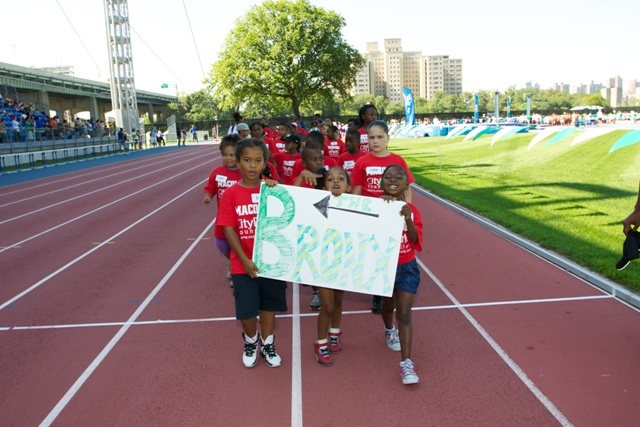 Children from Pelham Bay Park and Macombs Dam Park in the Bronx participated in the day’s activities. CityParks Track & Field offers free track & field instruction for boys and girls, ages five to 16, with lessons held twice a week from July through August in parks citywide. City Parks Foundation’s Sports & Fitness Programs, sponsored by North Shore-LIJ, offer free expert instruction to over 15,000 New York youth and seniors at over 60 locations citywide. City Parks Foundation (CPF) is the only independent, nonprofit organization to offer park programs throughout the five boroughs of New York City. We work in over 750 parks citywide, presenting a broad range of free arts, sports, and education programs, and empowering citizens to support their parks on a local level. Our programs and community building initiatives reach more than 600,000 people each year, contributing to the revitalization of neighborhoods throughout New York City. More information on all of CPF’s programs can be found at www.CityParksFoundation.org. Labels: ", "City Parks Foundation", "Icahn Stadium", "Olympics", "Track and Field"
My last few posts included statements from NYC Comptroller Liu, NYC Council Technology Chair Fernando Cabrera and union leaders from CWU. All three in varying degrees requested a postponement of the $120 million dollar contract renewal between the NYC Department of Education and Verizon. Various reasons for the postponement of the renewal included investigations into alleged fraud and a more thorough review if the funds could better serve our youth. Please do feel free to review the actual press releases, statements and letters posted on previous BoogieDowner posts. As a side note, even though the letters and press releases were written and made public, and the demonstration lead by CWU was loud and clear, there was hardly a peep about it in the main stream media. The only coverage of union demonstrations I saw Tuesday night included union workers rallying for increases in toll charges for the Port Authority, even though our State Comptroller issued a report blasting the Port Authority for excessive overtime abuse. 1- How is it possible to pay NYC teachers when they often work without a contract for years, but not pay DOE consultants when they are not under contract? 2- Why would you renew a contract where allegations of a 3.7 million dollar fraud are circulating without further review? Some people, including our Mayor, have connected the press releases, statements and letters sent as an unholy intrusion of government into the private sector. My response to them is again two fold. Firstly, when there are allegations of miss-appropriation of funds by our NYC Comptroller and other reputable authorities, they should be taken into consideration. Not only does government have a right to intervene it also has a fiduciary responsibility to tax payers to intervene. Secondly, government does have a right to intervene when American workers are under attack. In addition, the voters have a right and obligation to remember if the intervention was justified and handled properly when the ballot box is passed. On Walcott’s first day as Chancellor he visited Harvest Fields Community Church in the Bronx. The April 18th, 2011 New York Post article stated they “laid hands on the education department new honcho on Palm Sunday Mass”. For those who do not follow the Christian faith, Palm Sunday is one of Christianities most revered holidays. It commemorates Jesus’ triumphal entry into Jerusalem as the “Prince of Peace”. I posted the link below for anyone wishing to review the article. Many had reasonable hopes for Walcott’s appointment after Cathy Blacks “resignation”. Would he be the “Prince of Piece” of the NYC school system, as his public relations stunt at the Harvest Fields Community Church in the Bronx implied, or would he be just another pawn in the privatization of our school system for plutocrats intent on holding him on a tight leash. My conclusion is obviously the latter. He did not even have the line to postpone the contract renewal to a later date. May the late great Michael J. Quill rest in peace and be remembered for ages as Dr. Luther King predicted. Link to April 18th 2011 Daily York Post Article: "Thank God for Walcott"
Labels: "Councilman Fernando Cabrera", "CWU", "Labor Leader", "Martin Luther King Jr.", "Mike Quills", "NYC Comptroller Liu", "NYC School Chancellor Dennis Walcott", "Palm Sunday", "TWU", "Verizon"
Here is more from NYC Comptroller Liu's office weighing in on the Panel for Educational Policy to postpone tonight’s vote to approve Verizons $175 million contract with the NYC DOE. A balance protecting our middle class and corporations from unfair competitive practices needs to be found. Is Verizon at a disadvantage if it does not outsource workers or if it pays health benefits to its employees? If so regulation needs to be passed. In addition, transparency must be a top priority for all government contracts. It’s our money!!!! Tonight’s rally and PEP meeting should be interesting. Major issues related to how labor, management and regulators interact are at stake. Hopefully the middle class will not be bull dozed over. Hopefully the middle class will keep track of who our champions are during negotiations and remember them at the ballot box. Once again our long term corporate profits and our democracy are tied to the American middle class. Choking America’s middle class would only provide short term profits for a select few and prevent a needed recovery at the cost of what our nation stands for; a strong middle class. NOTE: In May, Comptroller Liu registered a contract between the Department of Information Technology and Telecommunications and Telesector Resources Group, Inc. (a Verizon subsidiary) to provide citywide landline and voicemail services as part of an agency-wide consolidation effort. The contract is valued at $175 million and specified that DoITT was the lead agency, with a number of additional city agencies able to utilize Telesector services. Today, the NYC Panel for Education Policy is set to vote to allow DOE to allocate $120 million to Telesector, while an ongoing labor dispute is taking place. Labels: "Labor", "NYC Comptroller Liu", "Panel for Education Policy", "Telesector Resource Group, "Verizon", Inc."
Here is more on the pending Verizon contract with the NYC Department of Education and a rally spearheaded by CWA. The protestors are against the city ratifying the contract with verizon due to allegations of corporate greed and outright fraud by Verizon perpetuated against NYC taxpayers. Please see a copy of the press release sent with information about the rally scheduled for today and their allegations against Verizon. Panel for Educational Policy (PEP), making it potentially illegal. School in downtown Manhattan, starting at 6 PM. activists, will speak out against it. Labels: "Class Size Matters", "Community Activists", "NYC Department of Education", "Parents", "Rally", "Teachers", "Union Leaders", "Verizon", Elected Officials"
I received multiple e-mails today about a multimillion dollar contract on the table between the DOE and Verizon. Here is the e-mail received from Councilman Cabrera’s office about his letter sent to DOE Chancellor Walcott, asking that today’s vote on Verizons $60 million dollar contract be delayed based on a recent report that found the company complicit in a $3 million dollar scheme of city funds. Please see a copy of the text sent by the Cabrera’s office late last night. On Wednesday, the Mayor's Panel for Educational Policy will consider approving a $60 million dollar contract with Verizon to provide internet and phone service to schools. While our schools are in desperate need of resources, and while investment in education should remain a priority for our City, I have serious concerns over the pending contract with Verizon. It is for these reasons I believe the vote to approve another city contract with Verizon should be delayed until certain questions can be answered in a formal manner. In my capacity as the Chair of the Technology Committee on the City Council, I plan to hold an oversight hearing concerning this matter in order to begin that process. I am therefore asking that any decision made on the pending contract between Verizon and the Department of Education be delayed until the City Council is allowed the chance to conduct a hearing over a process that has in some instances turned out to be a bad deal for the taxpayers. It is my hope that you will take into consideration the findings of the New York Schools Investigation Report and the sentiment of the public that suggests we proceed with caution when contracting millions of dollars in tax-payer funds. Labels: "CSS", "Custom Computer Specialist", "DOE Chancellor Walcott", "NYC Technology Chair Fernando Cabrera", "Robert J. Condon", "Verizon"
An emphasis of mine at the BoogieDowner is to spread "positive news" about the Bronx and its people. Most negative news items get more than their fair share of press. My joy and inspiration for this blog are the silent pillars of our community who often without praise or personal gain do good. Firstly, it highlights a middle income housing community that has been run successfully for Fifty years. Behind those 50 years are dozens, if not hundreds of individuals who have served selflessly as board members. Even though everyone who made the 50 year benchmark possible cannot be mentioned, Kudos and thank you to all of them. Secondly, I commend the Assemblyman for not leaving the middle income community and his transparency related to where he and his family live. So often it is "up and out" once an individual gets into office. In relation to his transparency about were he and his family live, it provides me with extra assurance that he is not hiding and that he has nothing to hide. It proved extra assurance, in a time when many are highly skeptical of political leaders. Once again thank you to everyone that worked selflessly behind the scenes to make the Fifty year benchmark a reality and Assemblyman Dinowitz for his transparency. Fifty more years to Tibbett Towers!! Assemblyman Jeffrey Dinowitz congratulates Tibbett Towers on the development’s 50th anniversary. Tibbett Towers, officially called New York Teachers’ Housing Corp., is a Mitchell-Lama co-op on Irwin and Tibbett Avenues that opened in 1961. Many original residents still reside there. The Assemblyman and his family lived in Tibbett Towers for 12 years in the 1980’s and 1990’s. “Tibbett Towers has provided excellent middle class housing for thousands of people over the past 50 years, including my family. Thanks to the hard work of so many people in the co-op, especially its Boards of Directors, who give their time as volunteers, it continues to be among the nicest housing developments in the City,” stated Assemblyman Dinowitz. Labels: "50 Years Anniversary", "Assemblyman Dinowitz", "Middle Class Housing", "Mitchell-Lama", "Tibbett Towers", New York Teachers' Housing Corp."
Many are probably not aware that the Muslim community in the Bronx has grown substantially in the last few years. Just from my observations, I believe most are West Africans that have migrated predominately to the neighborhoods in the South West Bronx; Highbridge, Lower Grand Concourse. Ironically, they have landed in Bronx communities I believe will have the greatest "monetary appreciation" in the next decade. In addition to becoming small business owners, many are active participants in their community civic organizations. Labels: "Bronx Borough President Ruben Diaz Jr.", "Grand Concourse", "Highbridge", "Prayer", "Ramadan", "Religious Celebrations", "Reverence"
Recent pressures from the economy and bank lending anomalies have driven Bronx real estate and co-op prices down, creating very reasonable purchasing opportunities. Even “Blue Chip” Bronx communities like Riverdale have been affected. With deflated prices, consumer confidence and interest rates at record low levels, the next few months should be turbulent, but busy. A recent co-op listing of mine at 6601 Broadway is a prime example. Past comparables for similar units sold for well above $200,000 at the height of the market. 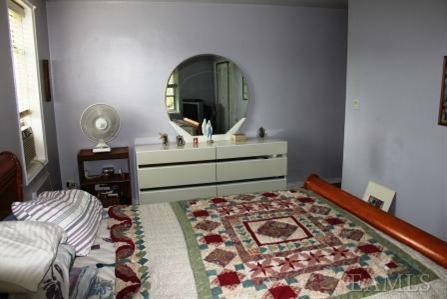 The very firm asking price of $165,000 makes for a GREAT purchase. Here is the skinny on the co-op and the OPEN HOUSE I am having for the unit this Saturday. Included in Maintenance: Heat, Hot Water, Real Estate Taxes AND GAS!!! Here are the calculation as well using a 4.5% percent interest rate and 20% down at the full asking of $165,000. If interested please do pass by on Saturday between 10am to 12 noon or call for additional information. Labels: "Bronx Co-ops", "C-ops", "Garage", "Minutes to Manhattan", "Open House", "Pet Friendly", "Riverdale"
It's good to read that the Bronx chapter of the Wildlife Conservation Society is instrumental in protecting endangered species, such as the red panda now on display at the Central Park Zoo. Besides the informative found below about the panda and organizations leading the fight to save various endangered species, the photo above shows how cute these animals are. Biru, a 1-year-old red panda, rests in a tree in his new home at the Wildlife Conservation Society’s Central Park Zoo. He recently joined his female companion, Amaya, in the Temperate Territory of the zoo. Red pandas are endangered due to habitat loss caused by deforestation for timber, fuel, and agricultural use. It is estimated that fewer than 2,500 remain in the wild. The Wildlife Conservation Society’s Bronx, Prospect Park, and Central Park Zoos all work with the Species Survival Plan for red pandas. The Wildlife Conservation Society’s Central Park Zoo - Open every day of the year. General Admission is $12 for adults, $9 for senior citizens, $7 for children 3 to 12, and free for children younger than 3. Total Experience Admission is $18.00 for adults, $15.00 for senior citizens, and $13.00 for children 3 to 12. 4-D theater admission is $4.00 for members and $7.00 for non-members. Zoo hours are 10am to 5:30 pm, April through October, and 10am – 4:30pm daily, November through April. Tickets are sold until one half-hour before closing. Labels: "Central Park Zoo", "Endangered Species", "Red Panda", "Wildlife Conservation Society's"
Here is positive news for a community health organization serving the Bronx. The NYC Council approved a $2,071,000 grant to MHHC. Kudos to the NYC Council members that made the allocation possible. In a time when many people cannot afford quality health insurance, I am sure the funds will make a difference in the quality of health care received by Bronx residents. For more information on the organization, their web site can be found below. “Morris Heights Health Center is a beacon in my community that serves tens of thousands of residents every year. This is the reason I fought so hard to bring this capital investment to the district,” said Councilman Cabrera. This funding will allow MHHC to overhaul 36 newly outfitted patient examination rooms; upgrade all accessory spaces including patient waiting areas, corridors and reception areas. “When you’re having health issues, it affects all areas of your life,” said Councilman Cabrera. “Institutions like MHHC don’t just help improve the health of our community; they help improve the lives in our neighborhoods. I am happy to allocate funds together with my colleagues and Speaker Christine Quinn to ensure that they are fully equipped to continue the work that they’ve been doing for over three decades. Labels: "City Council", "Fernando Cabrera", "MHHC", "Morris Heights Health Center", "Speaker Christine Quinn", "two million dollar check"
Assemblyman Dinowitz has shown his support for the Verizon workers on strike by recently joining the picket line outside the Verizon Wireless Store on Fordham Road. His staff also issued the following press release with strong language in their defense. Once again health care and retirement benefits are a main issue of negotiations. I am thoroughly entangled with Verizon services, but I must admit the strike and allegations against them will make me reconsider future decisions. Are the other wireless providers any better in how they treat their workers? Does Verizon ship a higher percentage of jobs over seas? Is there any legislation, active or proposed, that protects U.S. workers? Is it a race to the bottom to stay competitive since proper legislation is not in place? Who will purchase Verizon services if a large segment of the population cannot afford them? If any one has any information or data on the topic please do chime in. It’s a shame that the American worker, which represents the American middle class and protects democracy, is under such heavy barrage by a corporation that is often praised by Wall Street. Are we giving in to corporate greed by remaining Verizon clients? Assemblyman Jeffrey Dinowitz joined with Verizon strikers picketing outside the Verizon Wireless store on Fordham Road today. 45,000 workers from the Communications Workers of America (CWA) and the IBEW are on strike. The strike involves Verizon telephone field technicians, call center workers and cable installers not just in New York, but from Massachusetts to Virginia. “New York must not become Wisconsin. Tens of thousands of workers are fighting against efforts to take away benefits won over decades. Stripping Verizon workers of their retirement and health care security is unconscionable. Verizon also wants to reduce paid sick leave days, eliminate job security and cut benefits for workers injured on the job. This is happening while Verizon pays its top executive millions of dollars, makes billions of dollars in profits, and continues to out source countless jobs to non-union contractors and low-wage countries,” stated Assemblyman Dinowitz. Labels: "Assemblyman Jeffrey Dinowitz", "Communication Workers of America", "Corporate Greed", "CWA", "IBEW"
Last night I attended the “Summer Owl Walk and Talk” at the historic and beautiful Bartow-Pell Mansion in Pelham Bay Park. Urban ecologist Dr. Robert DeCandido , AKA “Birding Bob”, was the center of everyone’s attention as he attempted to summon the pair of Great Horned Owls that lay claim the territory. It was a pleasant night with just the right temperature and breeze. The sky and stars were crystal clear. The crowd was larger than I expected. About sixty-five people attended. There were lots of curios children and teens accompanied by their parents. Many of them brought folding or even lounge chairs so they could relax during the spectacle. There was even a high power telescope so we could secure a close up view if or when the owls graced us with their presence. The event started at 8pm, with a short discussion on owls. We were told if all went well, by about 8:45pm the owl couple that claims the territory would perch themselves on a barren tree branch that towered over the open field we congregated on. The strategy to attract the local owl couple consisted of playing a recording with various owl species hooting. The hooting by “rival” owls, even though just a recording would be deemed a threat to the dominant owls that lay claim to the territory. When the owls came to defend their turf, we would be treated to a glimpse of the wise and beautiful Great Horned Owls. It was a devious plan but we were in. It was Man vs. Bird. The crowd was deathly still as we waited. The die was cast. Since it was already past 8pm, it became a race against night fall as well. At one moment a large winged bird flew over us. Our fearless leader quickly told us it was an Osprey, not the owls we were waiting for. He also informed us the bird specie had made a comeback after being devastated years back, due to various industrial toxins previously dumped in our waterways. At another instance we saw a deer creep in the woods behind us. Yes, there are deers in some of the larger Bronx parks. The beauty and grace of both animals were enjoyed by everyone. The nature combined with the company made it a perfect evening even though the owls never did make the grand entrance we hoped for. The general assumption was that the music from the near by social event kept the owls away. I came to a different conclusion. My belief was that these were Bronx owls that were hip to the scam going on. I assumed we entertained them, as they sat watching us from some hided tree branch. After all they are not just ordinary owls; they are owls from the Bronx. In any event I am sure I will go back to enjoy this event or other similar events when made available. There was a $10 per person fee however it was well worth it. Labels: "Bartow-Pell Mansion", "Birding Bob", "Deer", "Dr. Robert DeCandido", "Great Horned Owls", "Osprey", "Summer Owl Walk and Talk"
1- The uneven percentage of post office closures in the Bronx. 2- The distance Fieldston / Spuyten Duyvil residents would have to travel to reach their nearest post office. Communication by letter has always been a back bone of American Society. The foresight in an efficient postal system helped make America great. I am sure everyone read books while in grade school about the famed Pony Express. Closure of both post offices would deny everyone living or doing business in Fieldston or Spuyten Duyvil adequate access to our postal system. The mountainous topography of the region should be considered when making closure decisions related to both satellite post offices. What might look good on paper, does not make sense when the topography is taken into consideration. Everyone living on the hill would be isolated from adequate postal service, many of which are seniors. For anyone interested in preventing the closures, I assume a similar letter to the Post Master General or contact with Assemblyman Dinowitz’s office would help. I am writing to urge you to reconsider your misguided proposal to consider closing two post offices within my Assembly district. These two post offices, Fieldston and Spuyten Duyvil, are vital to our community and many residents depend on them. Many of their customers are senior citizens who do not have access to transportation to bring them to another post office location. Furthermore, the next closest post office, Kingsbridge, is always crowded and plagued with long lines. Closing the two nearest post offices will only exacerbate this problem. I am also gravely concerned about the potential loss of jobs and negative effect on economic activity that the closures could entail. It is particularly troubling that of the 34 post offices being considered for closure in New York City, 17 are in the Bronx, far more than any other borough. Our borough is unfairly being asked to bear the brunt of these cutbacks. The Fieldston and Spuyten Duyvil post offices are a tremendous benefit to our community, and it would be a terrible disservice to my constituents to cut off these important resources. Thank you for your consideration of this matter. Labels: "Assemblyman Dinowitz", "Howard Sample", "Mr. Patrick R. Donahoe", "Post Office Closures", "Riverdale", "Sputen Duyvil", Fieldston"
Here is news on a new traffic light to be installed at the intersection of Bailey Avenue and West 234th St. Councilman Koppell advocated and secured the commitment from DOT. The traffic light should provide additional protection for children playing at the Bailey playground located near by. Kudos to Koppell and any community activists that helped secure the traffic signal. Council Member Oliver Koppell is pleased to announce that the Department of Transportation (DOT) has approved his request for the installation of a traffic signal at Bailey Avenue and West 234th Street. A DOT study confirmed Koppell’s contention that vehicles speeding in both directions on Bailey Avenue presented a danger to people trying to cross the avenue. Installation of the traffic signal is tentatively scheduled to be completed by November 30, 2011. According to area residents, the large number of children crossing Bailey Avenue at 234th Street because of the proximity of the Bailey Playground and the Ft. Independence Community Center, located diagonally across the playground, made the installation of a traffic signal essential. “I am pleased that DOT responded to my concerns about the safety of people, especially children, crossing Bailey Avenue at 234th Street by agreeing to install a traffic signal at this location,” Koppell said. Labels: "Bailey Ave", "Councilman Koppell", "Department of Transportation", "Trafffic Signal", "West 234th"
Here is more on the Disney SummerStage 2011 program. The events are free and a great way to spend time with the kids. The complete Summer Stage Kids schedule can be found by logging onto the following web site; http://www.cityparksfoundation.org/. Multiple events are scheduled throughout the five boroughs. Arthur Ave. & E. 188 St.
City Parks Puppet mobile - Bessie’s Big Shot Bessie the cow dreams of joining the circus. But can she lift more than Ziegfried, the strongest man in the world? Fly on the trapeze high above the crowd? Come root Bessie on in this new variety show as she attempts the impossible. The complete SummerStage Kids schedule follows. For the most up-to-date scheduling and line-up for all programming, visit http://www.cityparksfoundation.org/. Labels: "Arthur Avenue", "Bessie's Big Shot", "City Parks Puppet Mobile", "Puppet Show", "Summer Stage 2011", Ciccarone Plaza"
Here is news on success Bronx State Assemblyman Dinowitz has had on recent legislation protecting seniors. Most alarming is the news that domestic violence against seniors is up. Hopefully the legislation just ratified will help. Governor Andrew Cuomo signed three bills sponsored by Assemblyman Jeffrey Dinowitz (D-Bronx) into law on Wednesday. The bills addressed senior citizen issues that Assemblyman Dinowitz fought for as the former Chair of the Committee on Aging, before his promotion to Chairman of the Committee on Consumer Affairs and Protection. The first bill (A6736) calls for the creation of programs for senior centers to prevent domestic violence. The programs will be developed by the NYS Office for the Prevention of Domestic Violence and brought to senior centers around the state. Elder abuse is a growing concern in New York, and these programs will be an important resource in educating senior citizens and preventing elder abuse, provided in the ideal location of senior centers. Another bill (A544) directs the NYS Office for the Aging to review and develop programs to meet the needs of our senior military veterans. New York State has the second largest population of veterans in the nation, many of whom proudly served in World War II, Korea, and Vietnam, and this bill will ensure that our senior veterans have access to quality programs that serve their needs. The last bill (A395A) relates to matching funds for grants under the Naturally Occurring Retirement Community (NORC) supportive service program. The bill allows these communities to raise money outside of their geographic boundaries, thereby diversifying and expanding their sources of revenue. Assemblyman Dinowitz is pleased these important bills are now law in New York, and he thanks Governor Cuomo for taking decisive action to address the needs of senior citizens. “I am pleased that Governor Cuomo signed these three bills, each of which will positively impact the lives of many seniors throughout New York State. They address three separate issues: preventing domestic violence and elder abuse, addressing the needs of veterans who are senior citizens, and strengthening the NORC program. Now that I’ve been appointed Chair of the Committee on Consumer Affairs and Protection, my tenure as Chair of the Aging Committee has ended, but my commitment to fighting for the needs of seniors will never waver,” said Assemblyman Dinowitz. Labels: "Elder Abuse", "Governor Andrew Cuomo", "NORC Program", "Senior Military Veterans"